After Matt Hamill was pulled out of the UFC 129 card, Jason Brilz will step in his shoes to lock horns against Phil Davis. Phil Davis, once again, has an opponent for UFC 129. 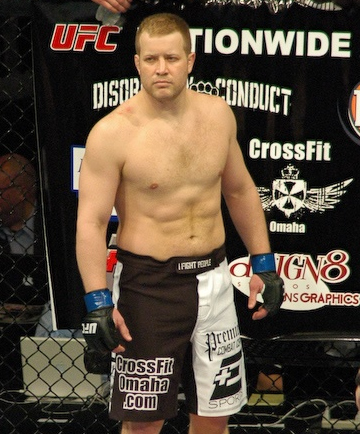 Stepping in Matt Hamill’s shoes is the 11-year MMA veteran, Jason Brilz. Phil Davis was originally penciled to battle against Matt Hamill for UFC 129. However, the latter was reportedly pulled out from the card in order to face Quinton “Rampage” Jackson in lieu of Thiago Silva for UFC 130. Following that, UFC tapped Jason Brilz to replace Matt Hamill and face Phil Davis on the upcoming April event. The UFC 129 features a welterweight bout between champion, Georges St-Pierre, and latest UFC acquisition, Jake Shields. In a co-main event, featherweight king – Jose Aldo – will put his newly minted UFC belt on the line, as he faces Mark Hominick. UFC 129 is set to take action on April 29, at the Rogers Center in Toronto, Canada.